Freshman running back Maurice Washington is a full academic qualifier and will be immediately eligible to play for the Huskers in 2018, a source confirmed to Hail Varsity on Wednesday. Washington, a 4-star prospect out of Trinity Christian High in Texas, tweeted bright and early Wednesday morning that he had been academically admitted into the university; the "first step," as he called it. With fall camp set to begin Friday morning, the next step — the status of Washington as it related to the football field — had been of particular interest to Nebraska and its fans. During Big Ten Media Days last week, Husker head coach Scott Frost commented on the status of Washington (as well as wideout Dominick Watt), saying: "We're still waiting right up until the end but we're very optimistic about those two. Hopefully they'll be in our program. We think they're both special players who can help us." Given a checkered high school career, Washington was viewed as a possible academic redshirt candidate for the 2018 season but Nebraska held out hope that, at the very least, he would be on campus even if he didn't get to play right away. Now that it appears he'll be immediately eligible, the 6-foot-1, 190-pound runner adds even more punch to an already deep running back room. As a senior, Washington averaged 10.2 yards a carry with 15 rushing touchdowns and another nine receiving touchdowns. He topped 100 yards rushing four times. 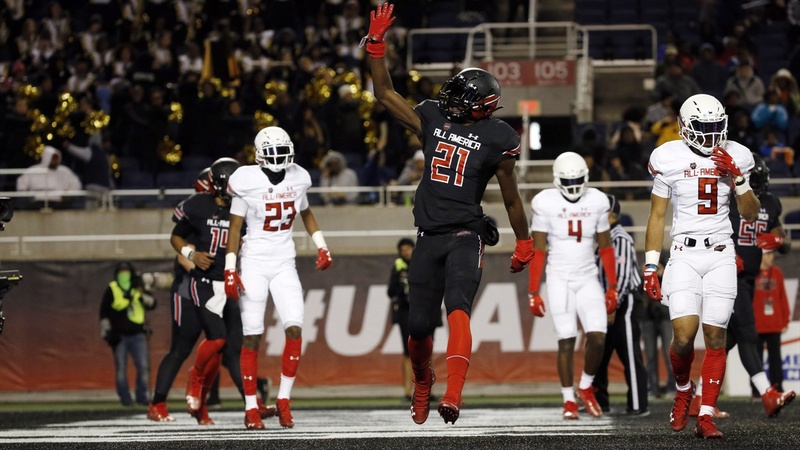 But he didn't see his recruitment pick up steam until earning MVP honors in last season's Under Armor All-America Game following a three-touchdown performance. His film shows impressive change-of-direction ability and a good blend of power and speed. Hail Varsity recruiting analyst Greg Smith noted back in February that he's a capable receiver as well, giving the Huskers another multi-dimensional weapon in their new offense. When he committed live on ESPN on National Signing Day, it was viewed as a major win for the Husker program and its new coaches. Getting him immediately eligible for 2018 might be an even bigger win. He'll join recent additions in JUCO runner Greg Bell and freshman Miles Jones as well as sophomore Jayline Bradley and seniors Devine Ozigbo and Mikale Wilbon in running back coach Ryan Held's room.